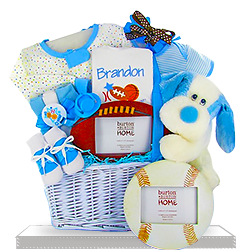 It’s a boy, and their world will be colored blue from now on! 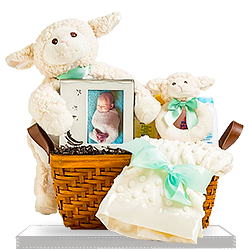 Send this cute baby boy’s new parents your best wishes and a nice gift basket. 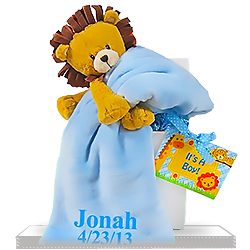 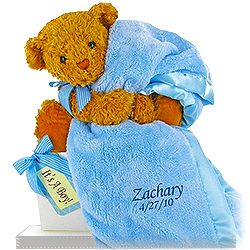 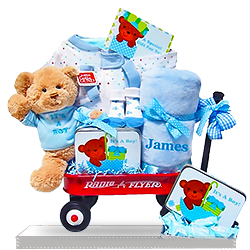 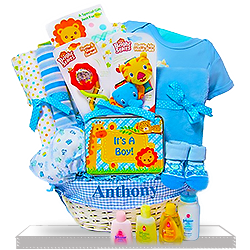 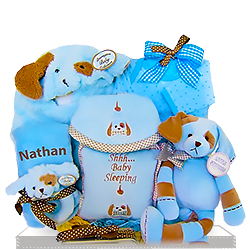 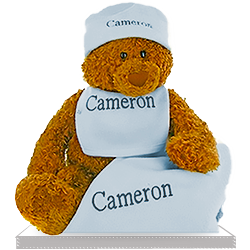 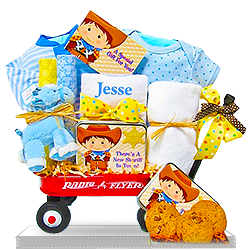 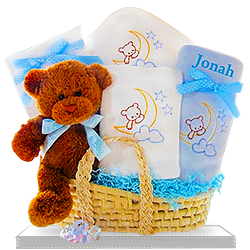 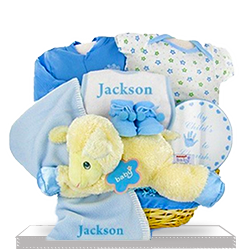 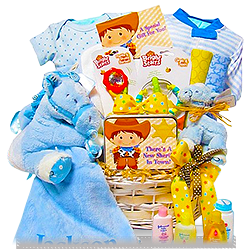 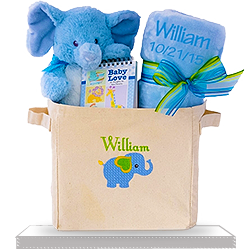 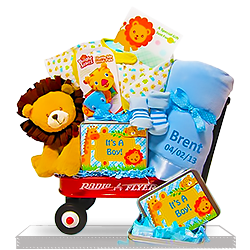 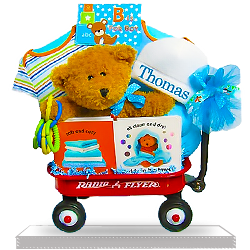 They will surely appreciate one of those cute gift baskets for their baby boy, filled with every essential they need at the moment: from bibs to diapers, clothing, personalized blankets, etc. 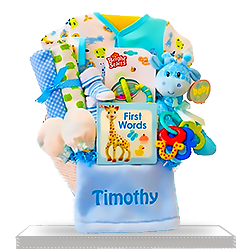 Everything you need for a little baby boy is right here: clothing, toys, learning games, and more! 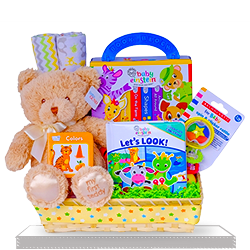 Imagine how happy new parents will be when you send them one of our lovely gift baskets: their life will become much easier with your help. 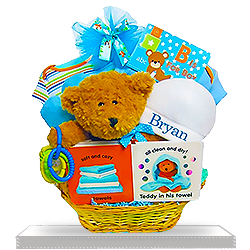 Grandparents, friends, colleagues, neighbors - everyone can wish new parents the best with a gift basket for baby boy and help them with their new baby when they need your help and support the most.